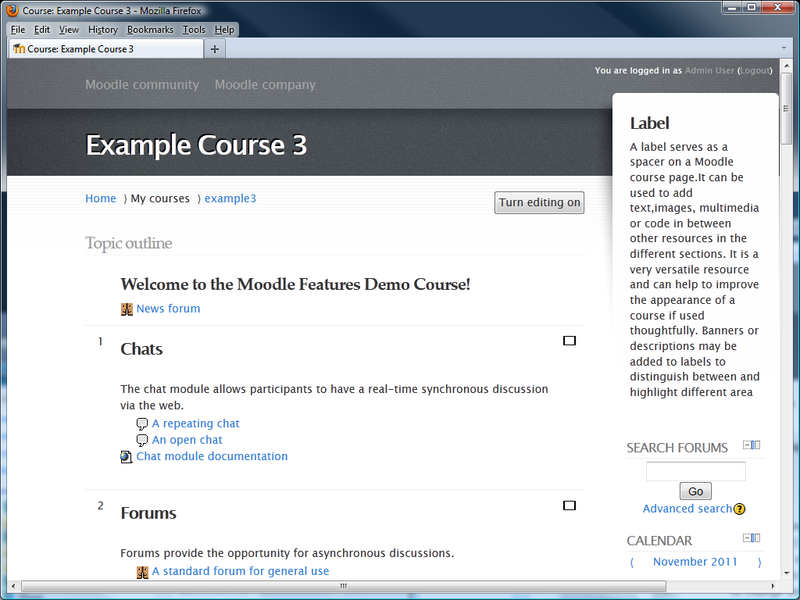 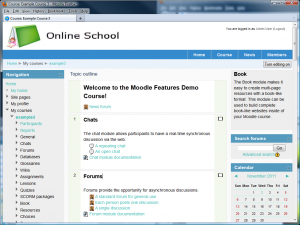 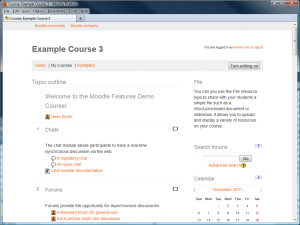 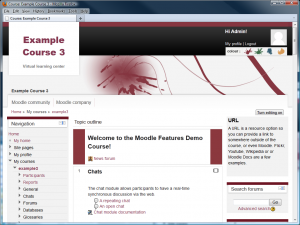 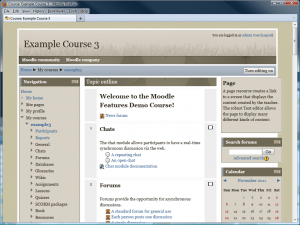 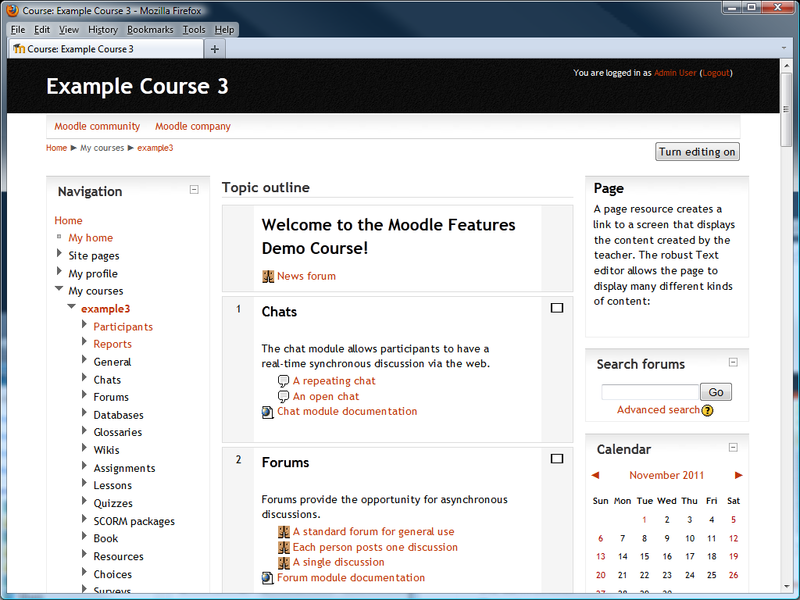 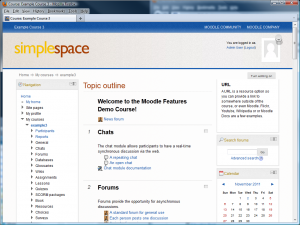 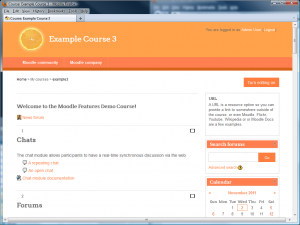 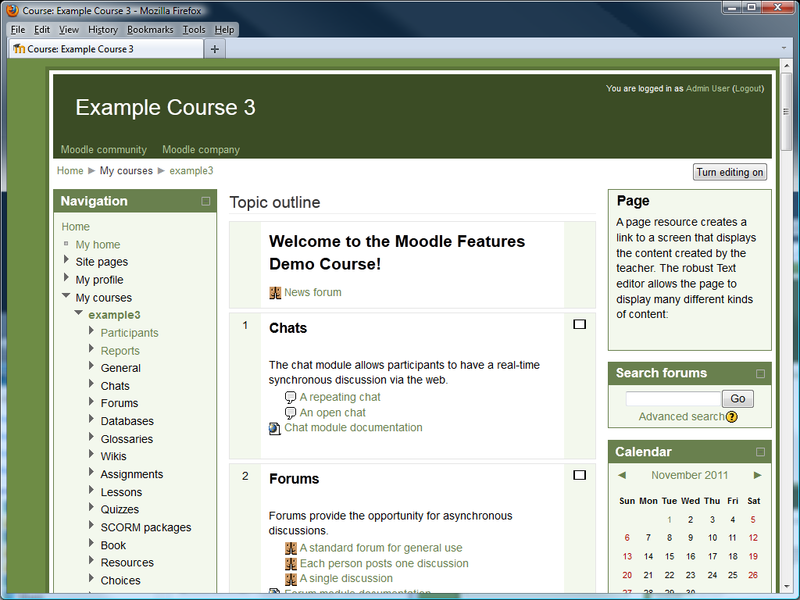 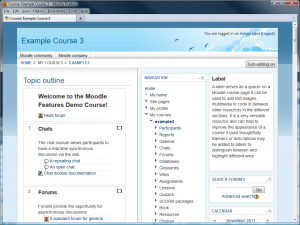 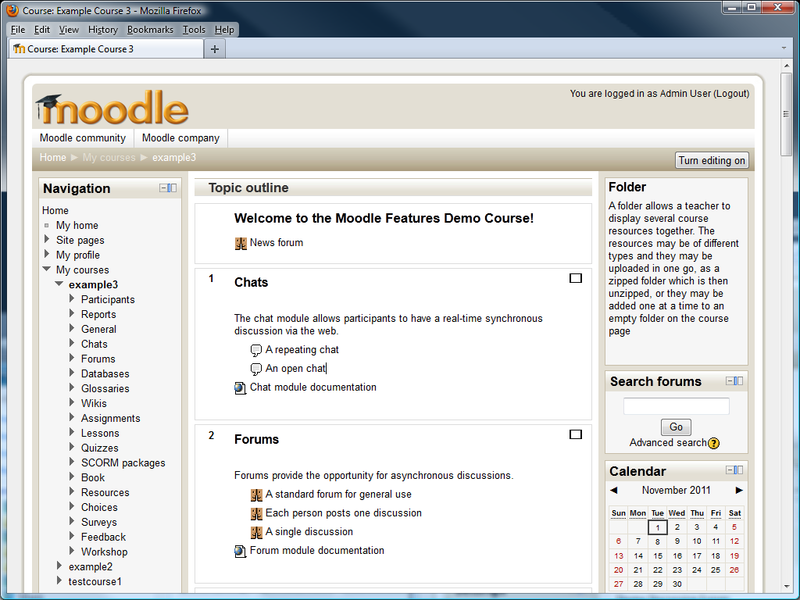 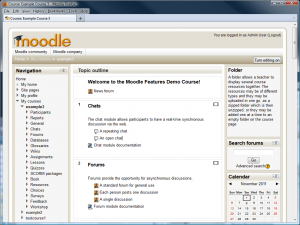 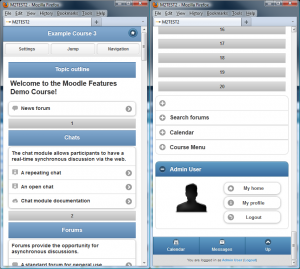 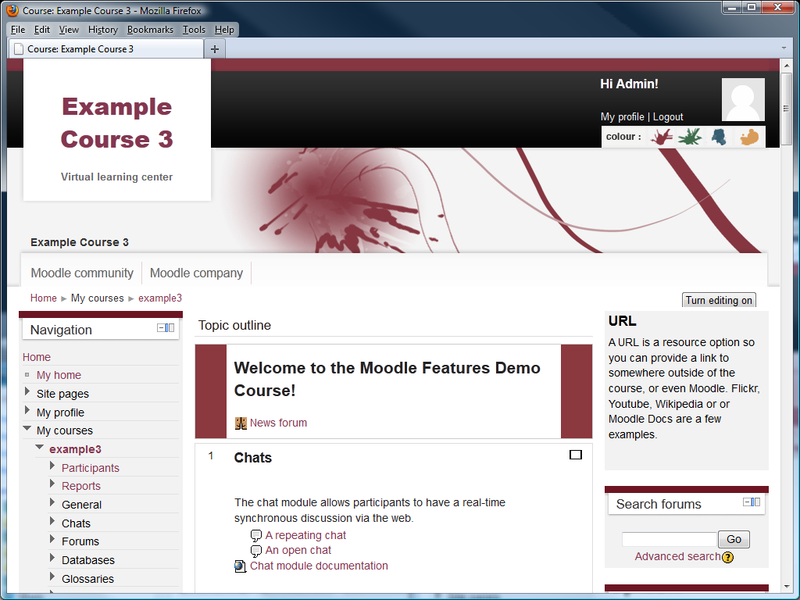 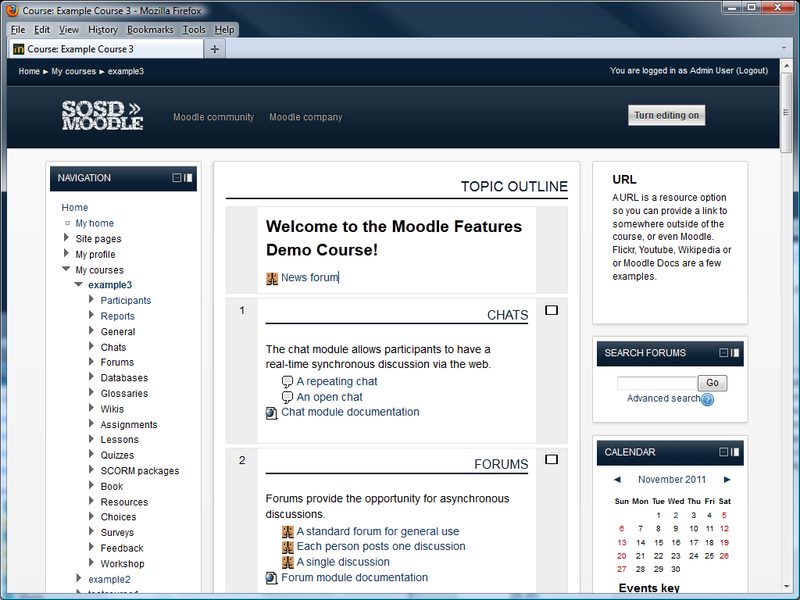 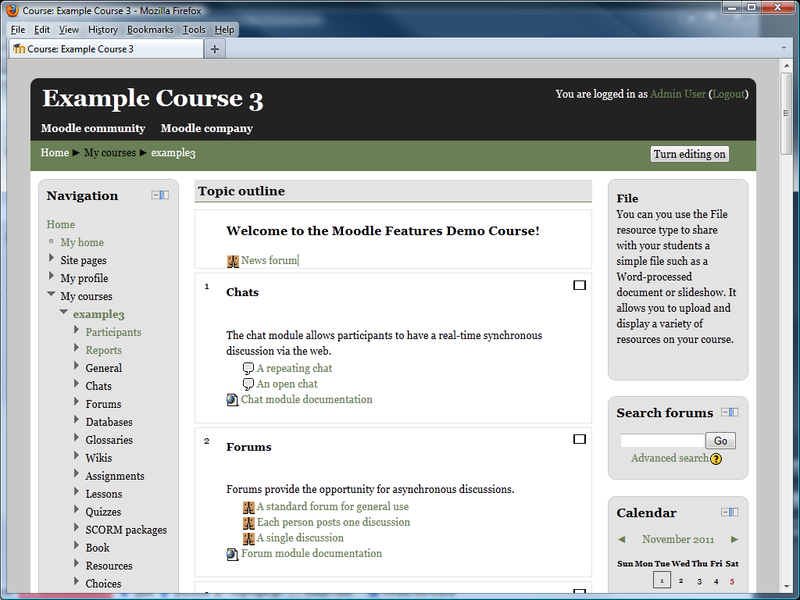 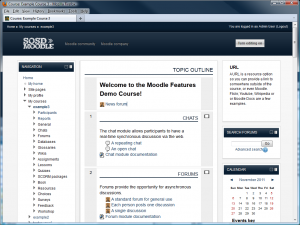 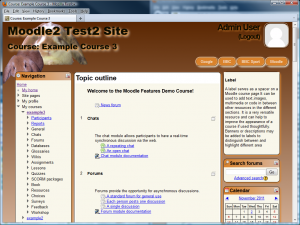 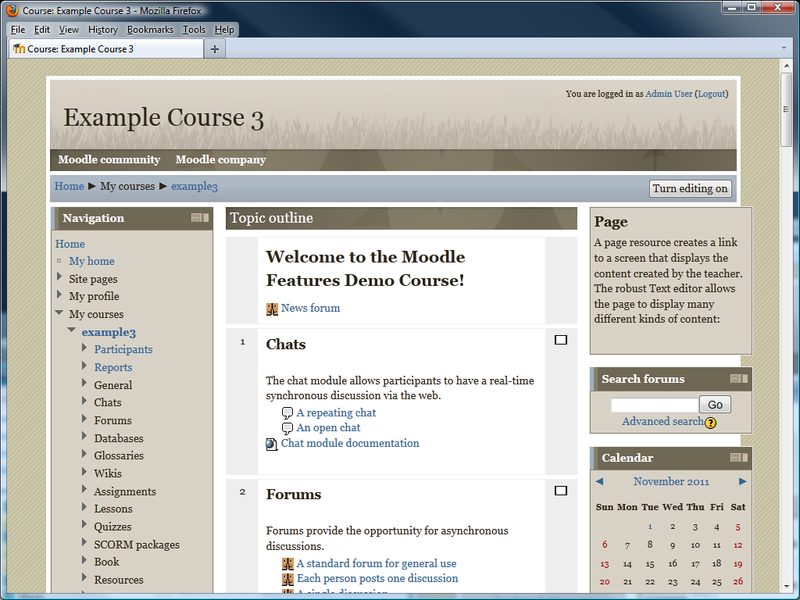 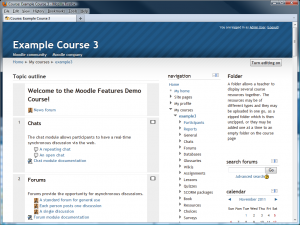 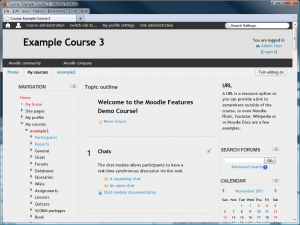 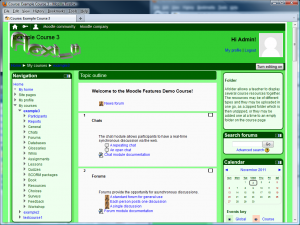 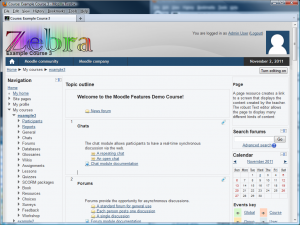 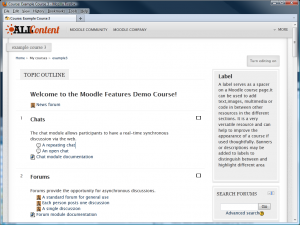 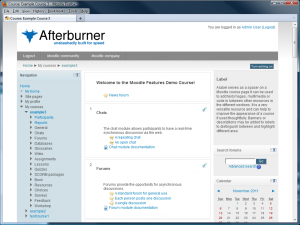 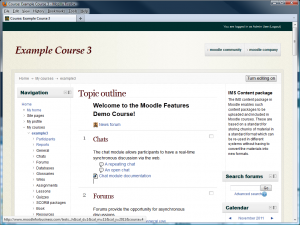 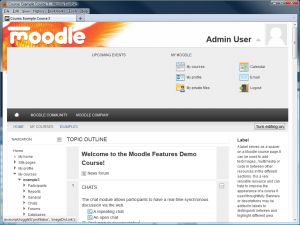 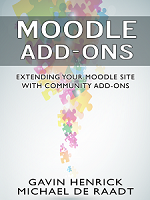 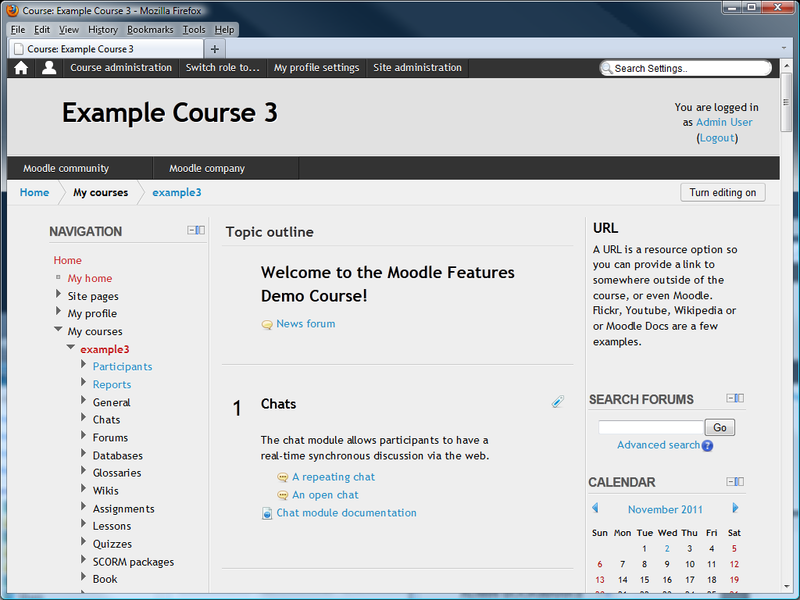 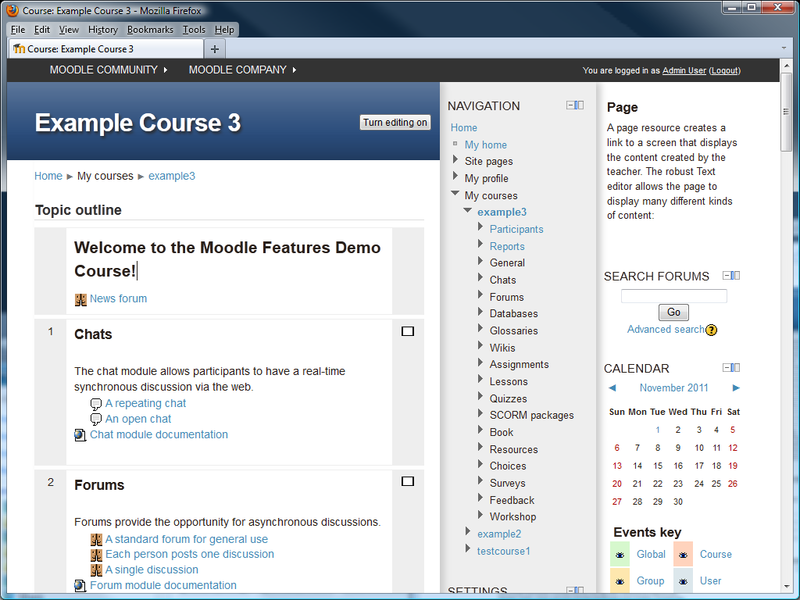 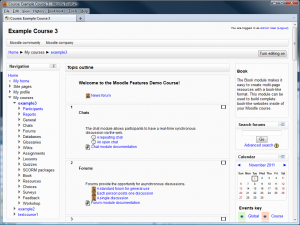 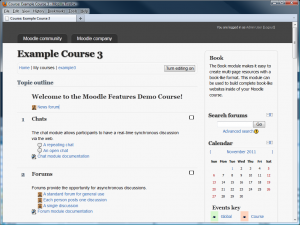 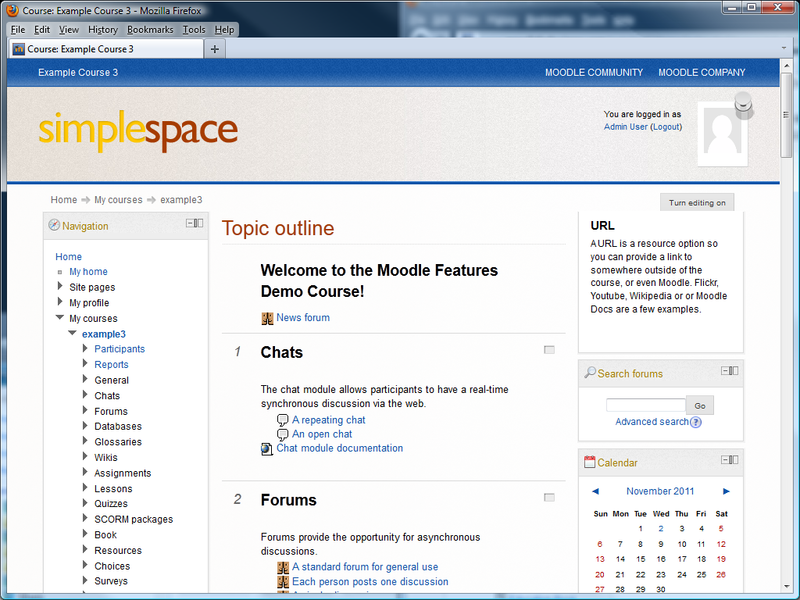 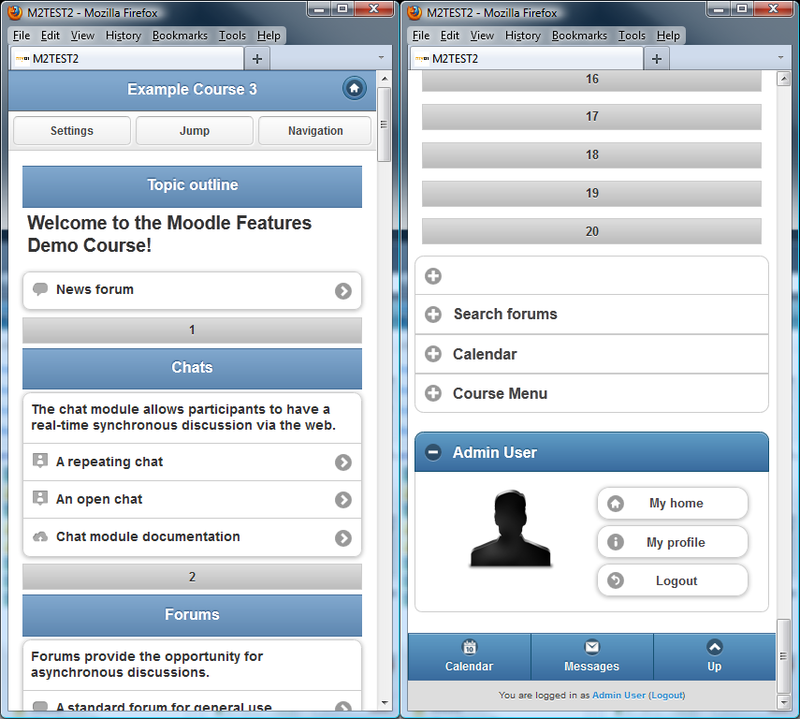 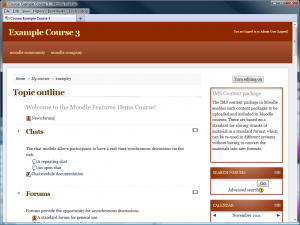 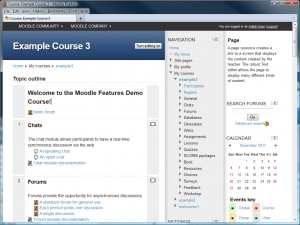 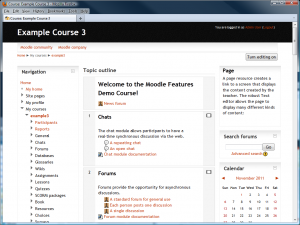 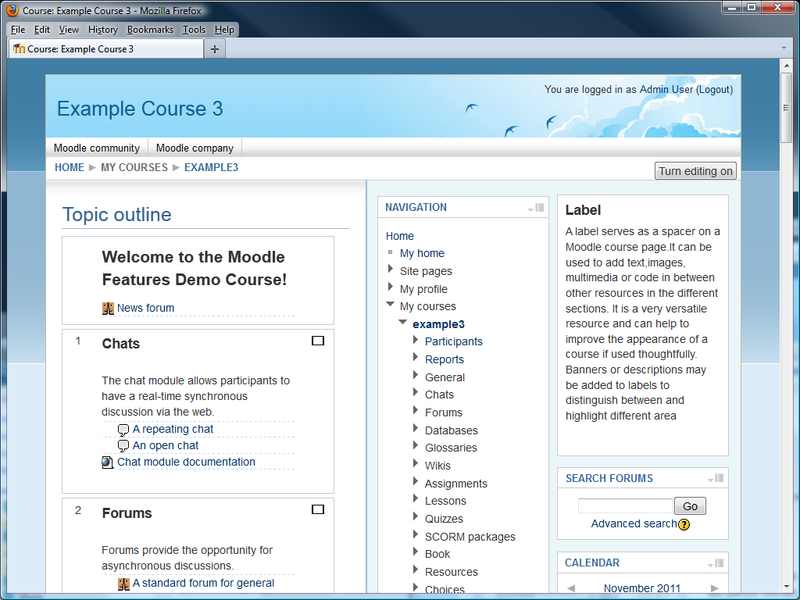 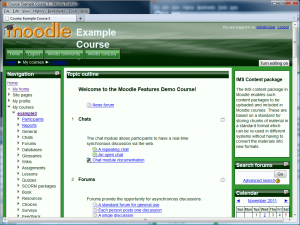 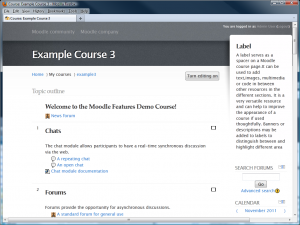 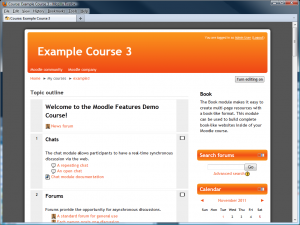 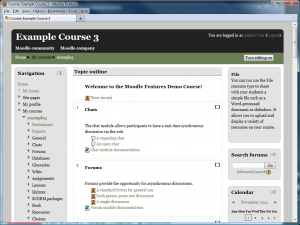 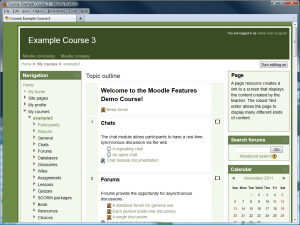 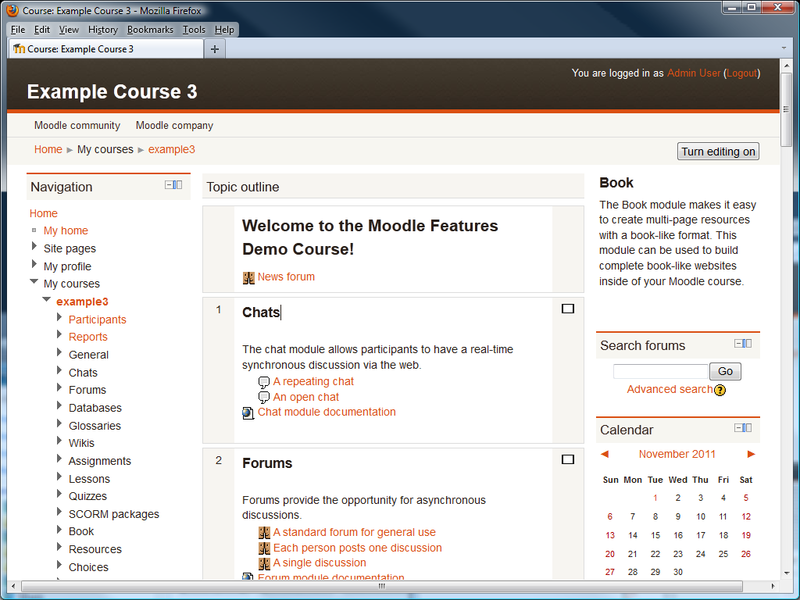 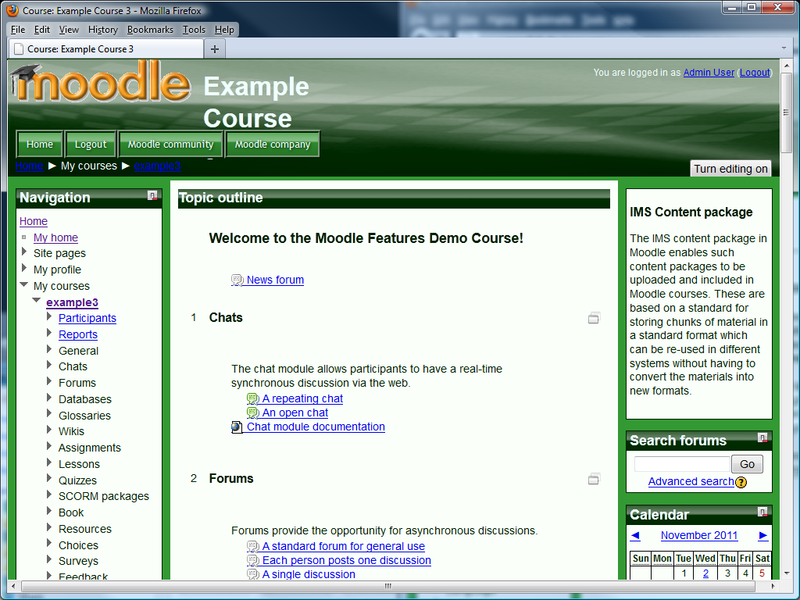 There are a good number of themes that are distributed with Moodle 2. 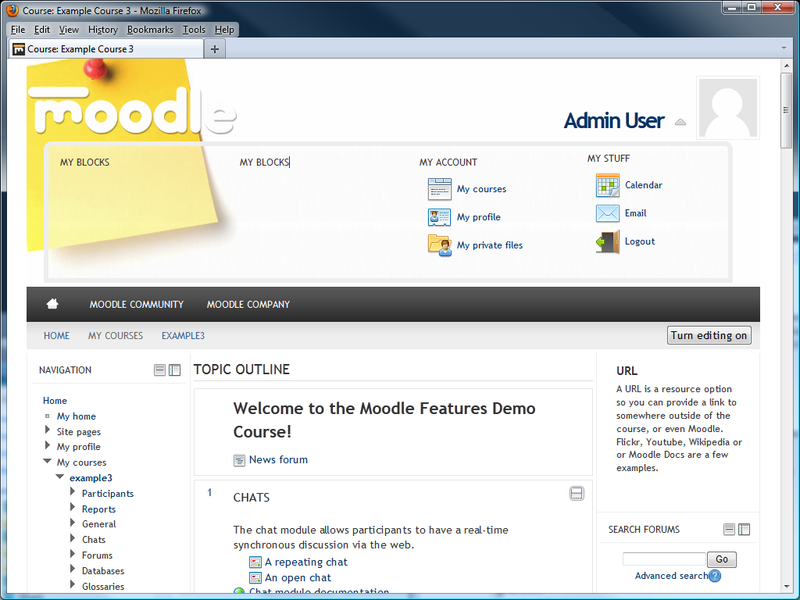 Not only do these provide some good examples of how Moodle 2 may look, but they mostly offer simple customisation options through settings in the theme itself. 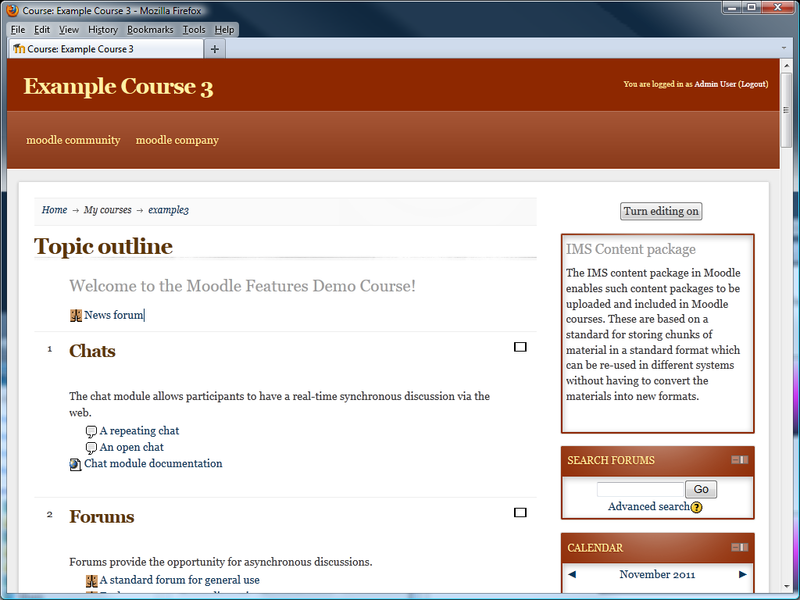 This screenshot is then followed by a table of data related to that theme. 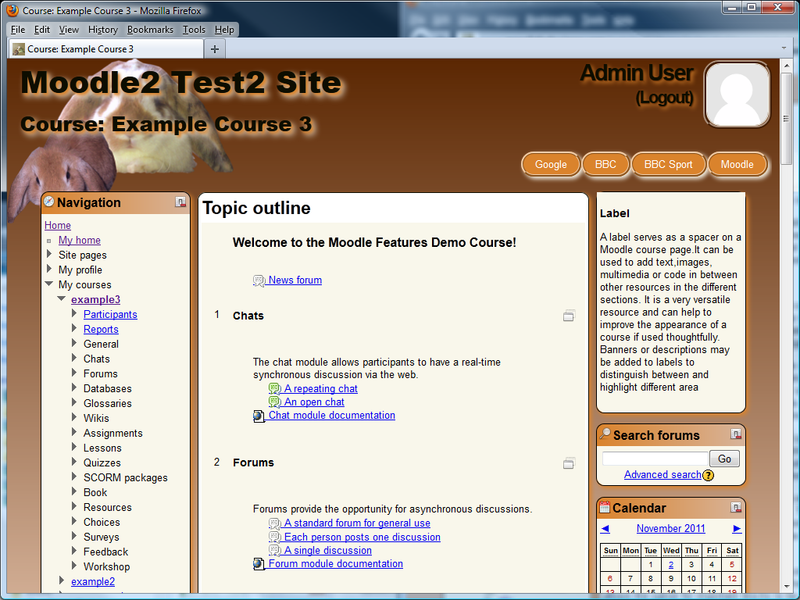 For a good comparison, each of the following pages have a theme screenshot taken on my standard Moodle feature course, with no blocks docked followed by a table of data related to that theme. 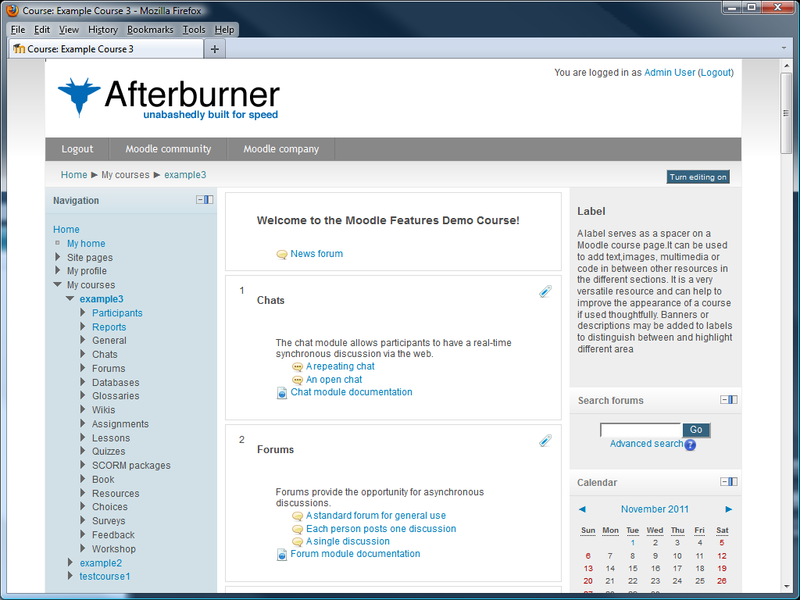 The details on maintainer are as named in the database. 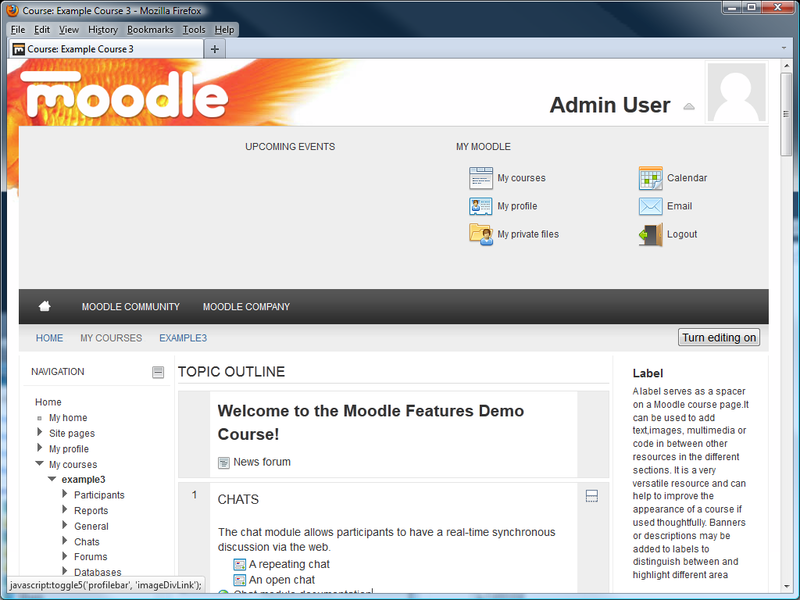 Includes a special expandable area in header for logged in users called Profile Bar(grey area in screenshot), can be toggled on/off. 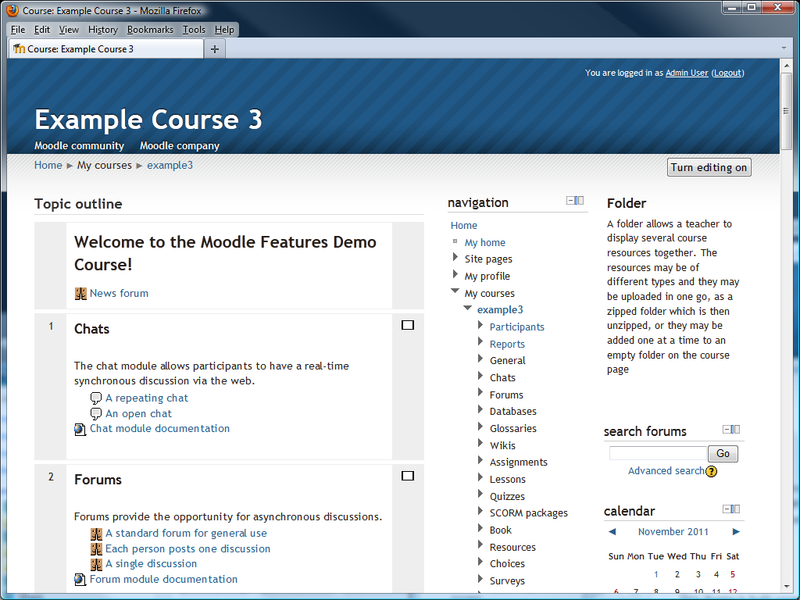 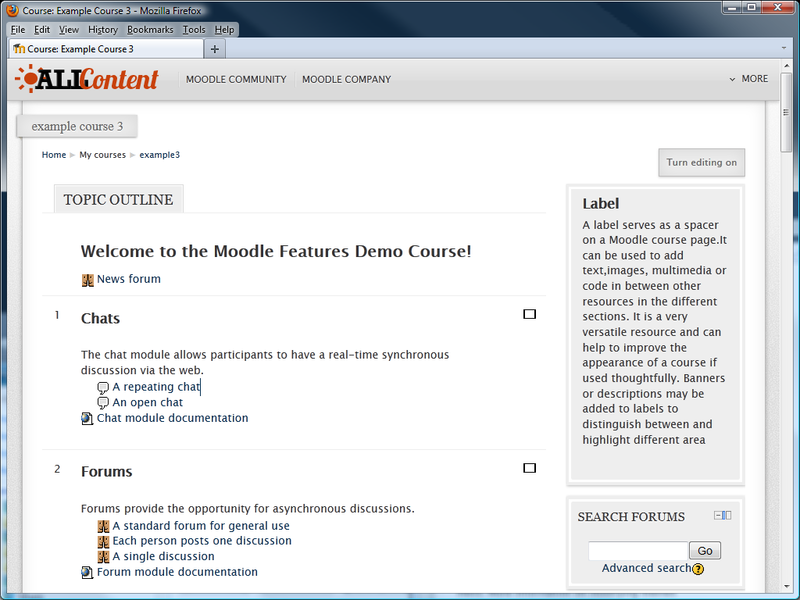 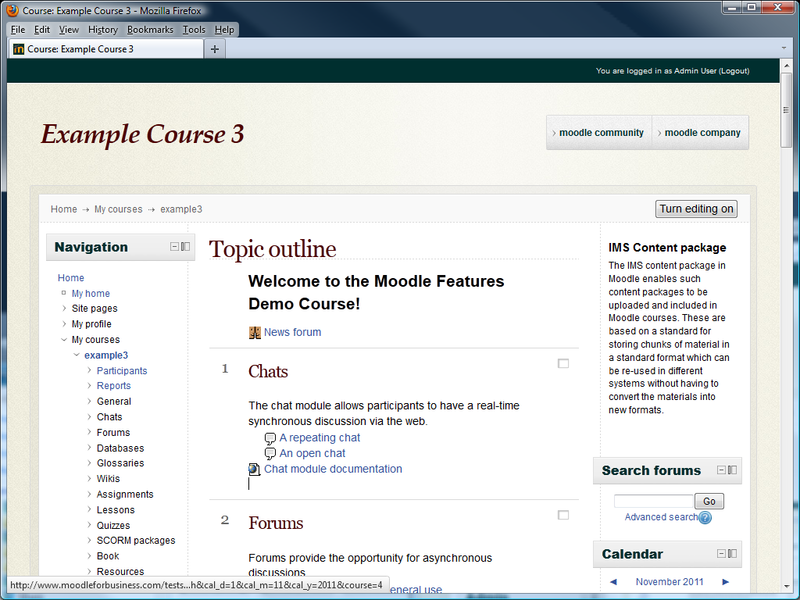 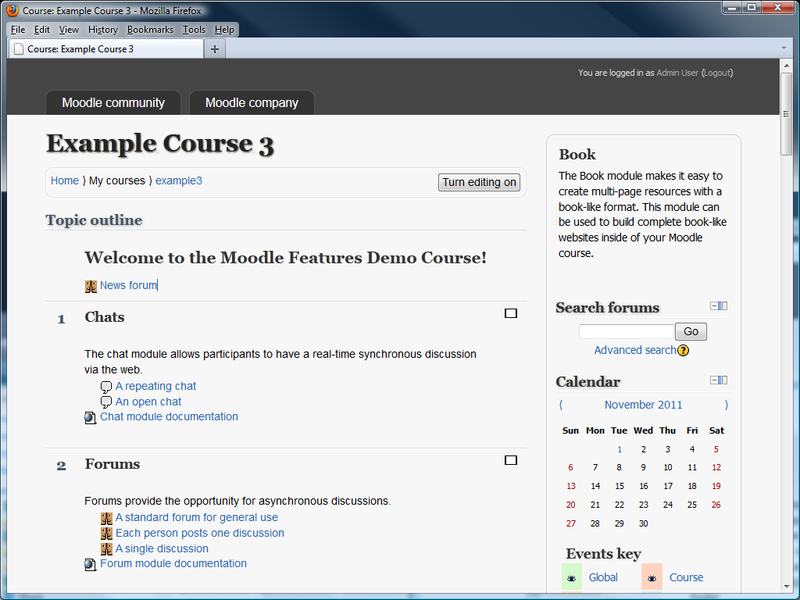 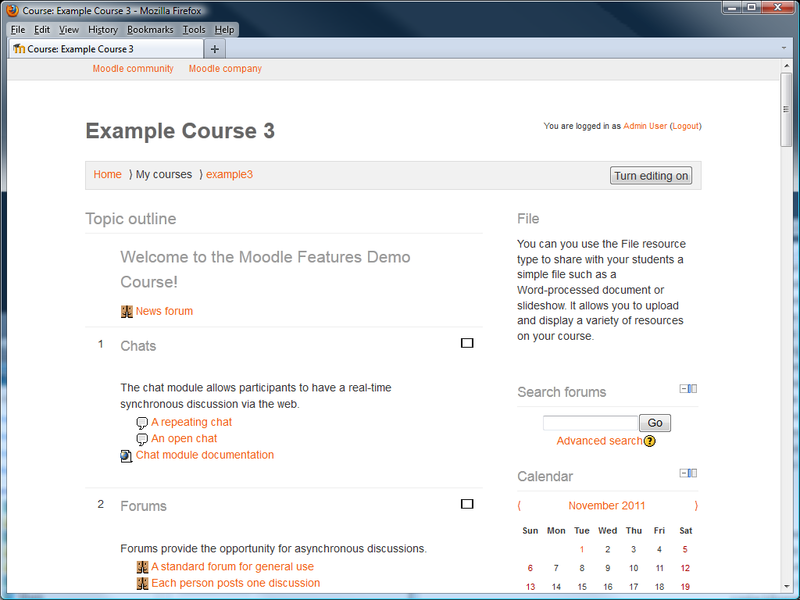 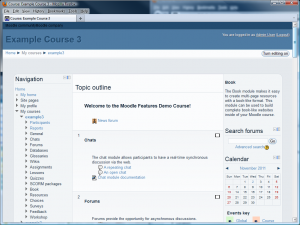 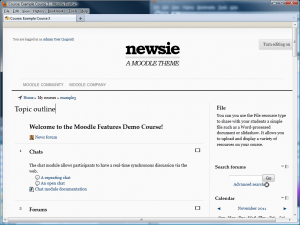 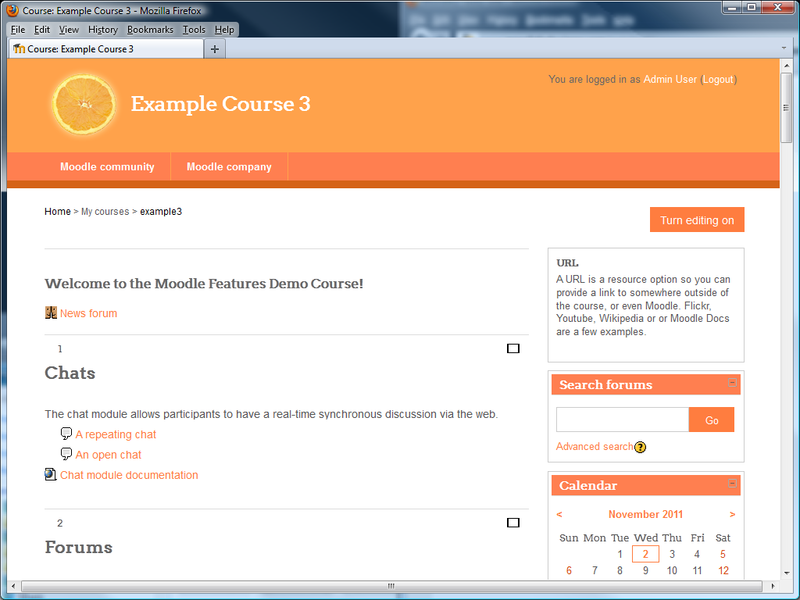 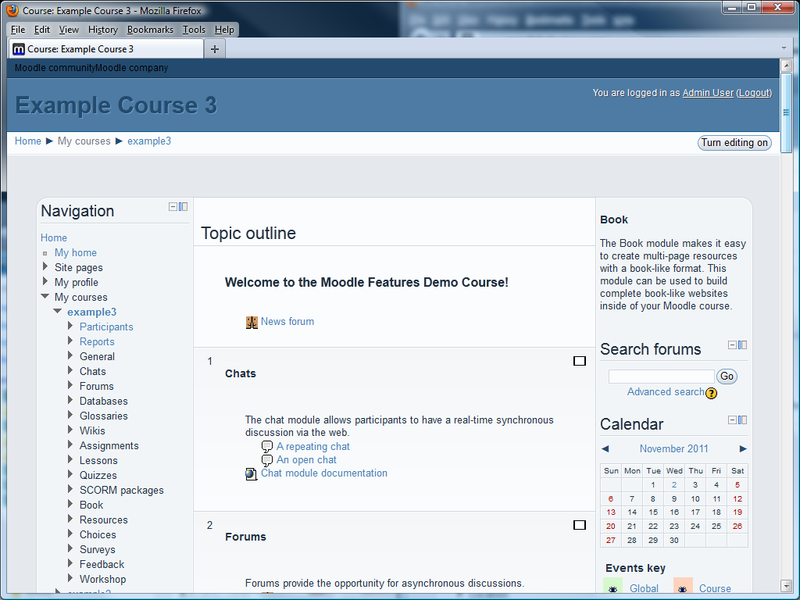 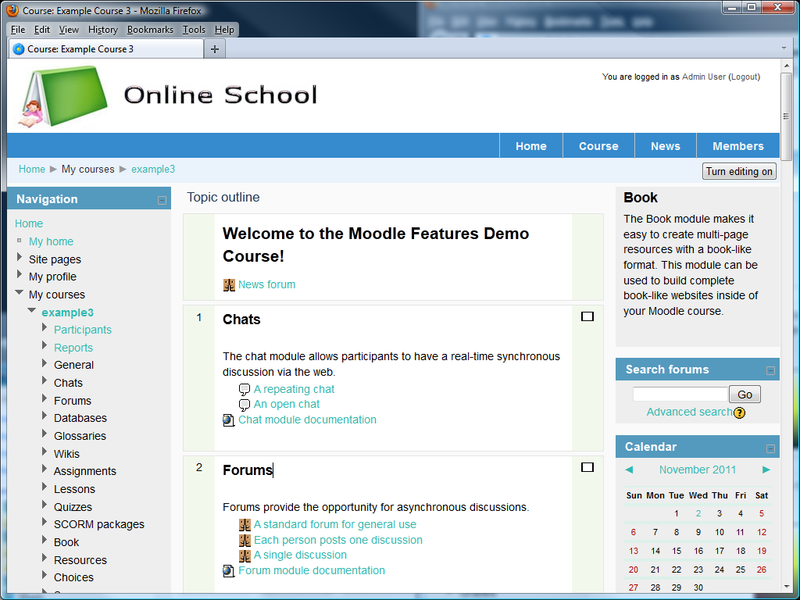 For all users it shifts the setting blocks to top of the page, creating the so called “Moodle awesome bar”. 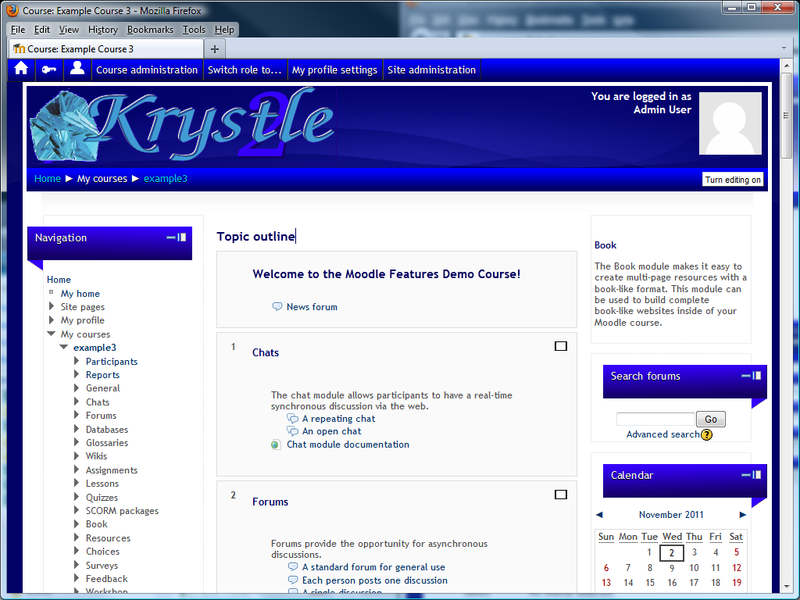 This theme has exposed a huge amount of settings through the admin page to allow a significant amount of customisation once it is installed. 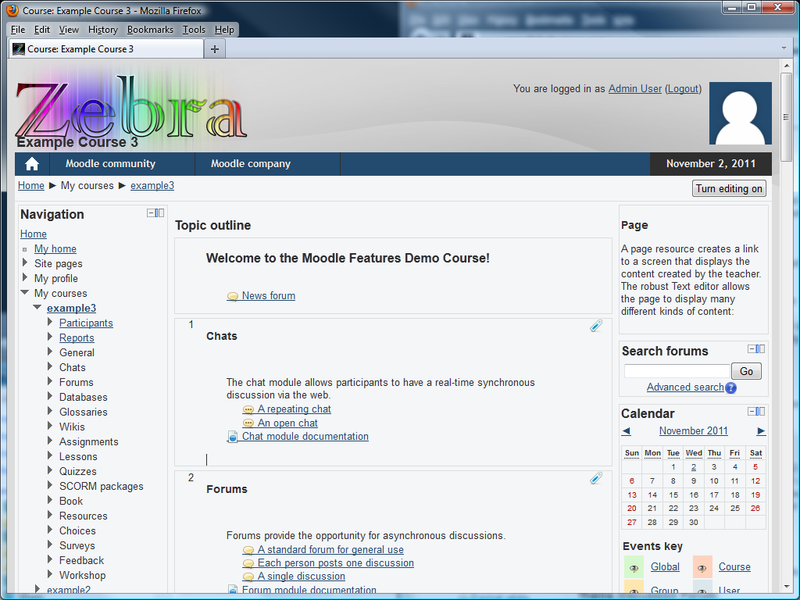 However you need to have your Hex colours already worked out. 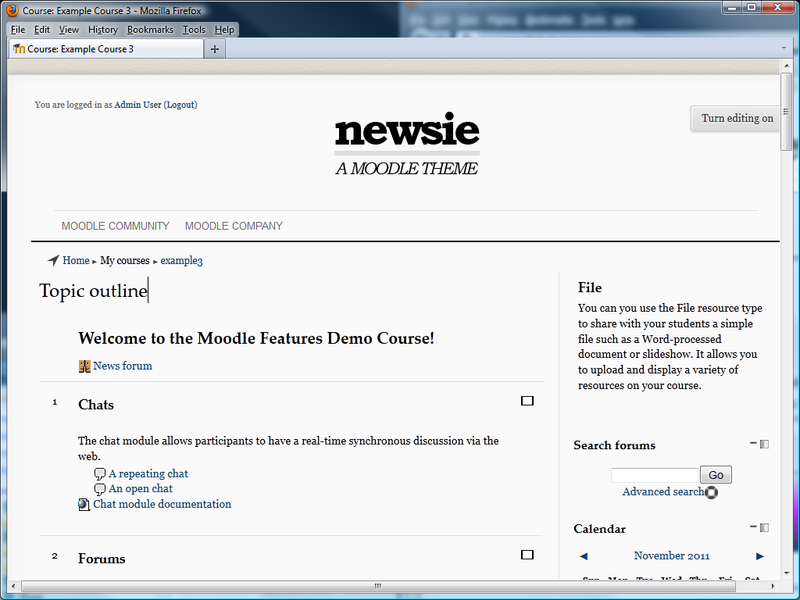 This theme has the â€œAwesome Barâ€ which moves the settings and navigation blocks to drop down menus at the top of the page. 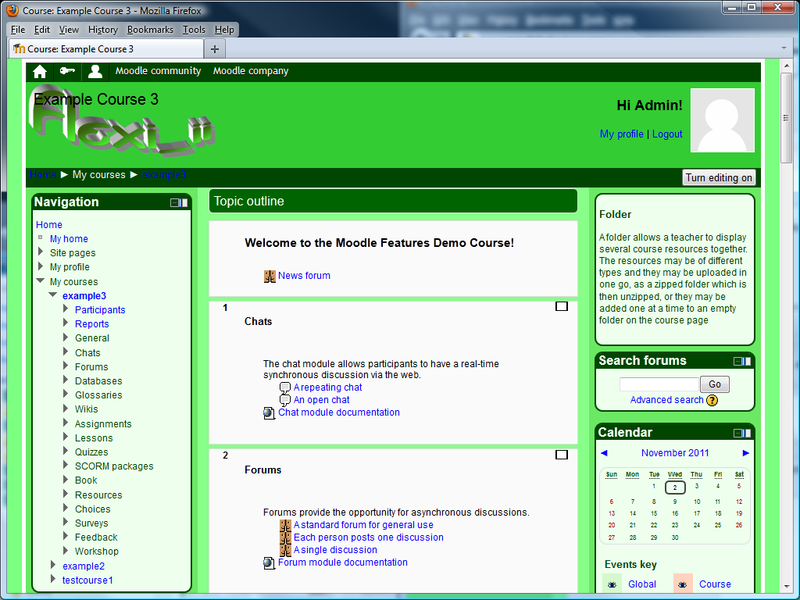 Designed for dynamic column display of 3, 2 or 1 column depending on screensize. 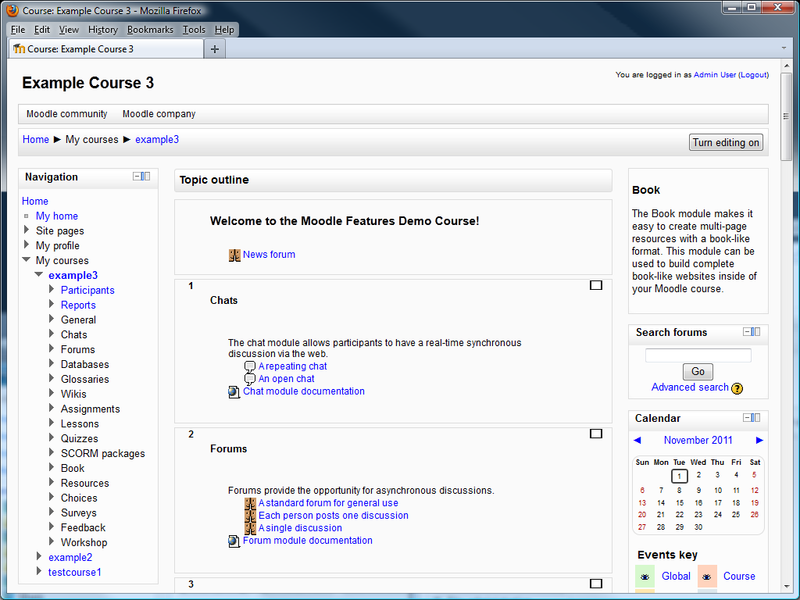 There are no dropdowns and some new block locations are defined above the content area. 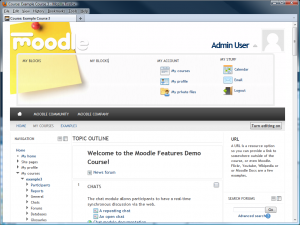 Offers 1, 2, 3 column layouts, with dynamic colour dark/light settings.